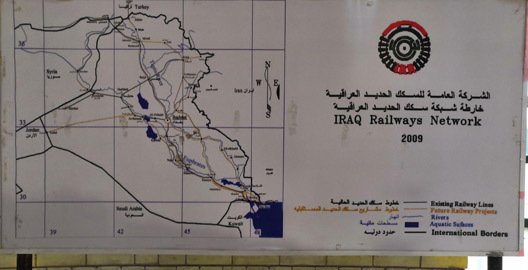 Train travel in Iraq . . .
Iraq is not the most popular tourist destination at the moment. 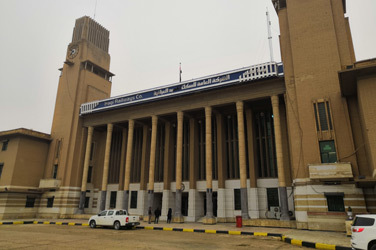 But trains are running again between Baghdad and Basra, the main city on the Gulf, equipped with air-conditioning and sleepers. 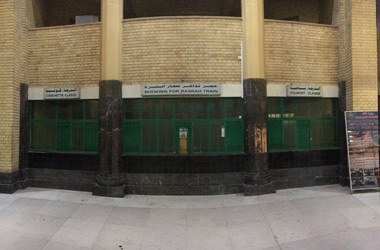 Iraq Railways - no website. See UK Foreign Office travel advice at www.gov.uk/foreign-travel-advice/iraq before attempting to visit Iraq. UK citizens need a visa for Iraq. 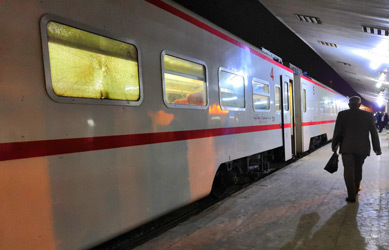 An overnight train links Baghdad with Basra every day. The distance by rail is 541 km (336 miles). Buy tickets at the station. There is no online booking. What is the train like? 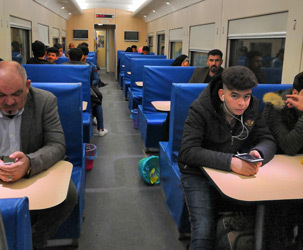 The train is currently a Chinese-built air-conditioned train with a power car at each end, featuring 4-berth sleepers, ordinary seats and a buffet car. 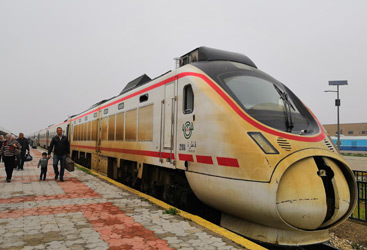 The train was only built in 2015, although dust from the desert takes its toll and you'll find some windows cracked from children throwing stones. 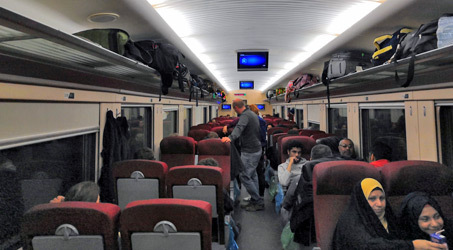 The sleepers are in 4-berth compartments, the sleeping-cars are locked off from the seats part of the train. The photos in this section are courtesy of Charles Kennedy and Rik Brinks. If you use this train and get any photos of the sleepers, please get in touch! 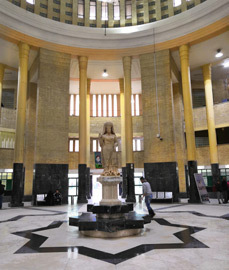 Baghdad Central station was built 1949-1953, designed by British architect JM Wilson, who had been an assistant to Lutjens in New Delhi. See station location map. If anyone has any more information. photos or travel reports that would be useful for this page, please e-mail me!